If you know programming in LUA, you’ll love this mod. Computer Craft 1.12.2 you will break the boundaries and do just about anything, because of their computers with the operating system, system files, programs, Lua interpreter and real-time text editor, with it you can do many things, of course, if you know LUA. You can transfer files between computers, listen to music and big screens to the devices. It also has intelligent and programmable robot, named “Turtle”, which we add features and this version has another innovation called Paint that offers the possibility of making that the Turtles use those planes! 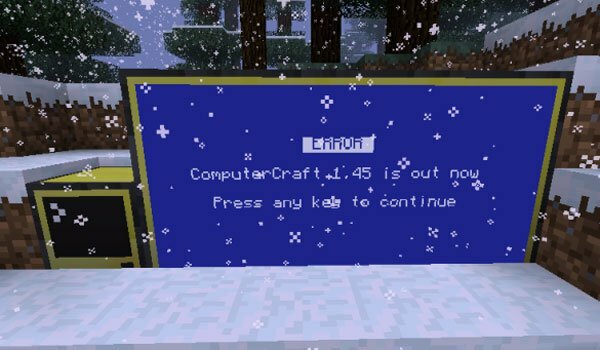 How to install Computer Craft Mod for Minecraft 1.12.2? A new world for those who know how to program in LUA!